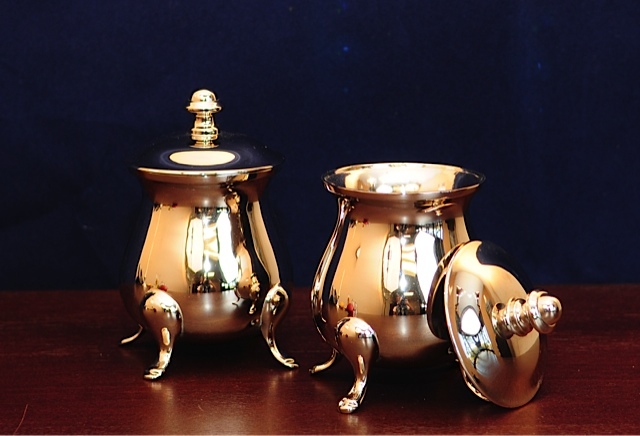 Cast in solid brass and silver-plated, this stunning silver pot is a lovely addition to any counter or table top. Measuring roughly 3 inches in diameter at the widest part, standing roughly 4 1/2 inches high including the lid, and weighing about 12 ounces, this is a perfect item to add a little elegance to your tea time. 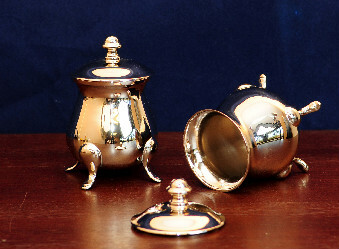 Although this product was designed to be a sugar pot, it is rather universal and can be used for a variety of different uses. Be creative and see how you make use of this charming pot.